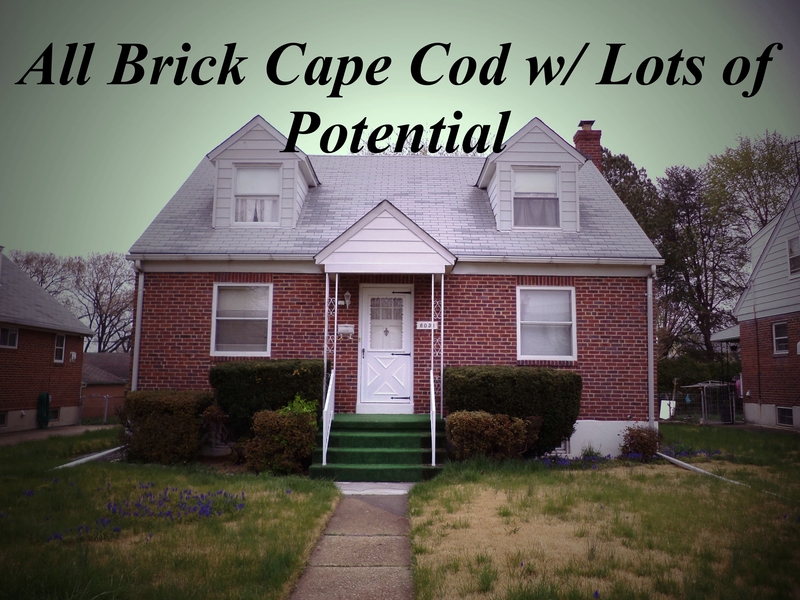 Lovely Brick Cape Cod located on a Large Level Lot! Open Floor Plan on Main Level w/ 2 Spacious Bedrooms & HARDWOOD FLOORS under the carpet! Full Walk-Up Attic w/ walk-in Cedar Closet is already dry-walled & Ready to Be Turned into 2 additional Bedrooms!! Full Basement with Bar!. Newer Roof, Windows & Trane HV/AC! This home has Great Potential to be Turned into a Large 4 Bedroom Home!